For the third time in school history, a Chaminade Boys’ Basketball player has won the John R. Wooden Award. Senior power forward Jack Williams was named as one of seven winners for high school basketball player of the year today. Williams averages 16.7 points per game, 11.6 rebounds per game and is co-captain of this year’s team. He signed his National Letter of Intent in November 2013, and after graduating from Chaminade will go on to California State University, Long Beach. The award will be presented to Williams and the six other winners at the Los Angeles Athletic Club on April 11 during the Wooden Award banquet. Chaminade’s previous two Wooden Award winners were Scott Long ’98 in 1998 and Joe Fabian ’82. When Fabian won the award in 1982 it was known as the Player of the Year Award. 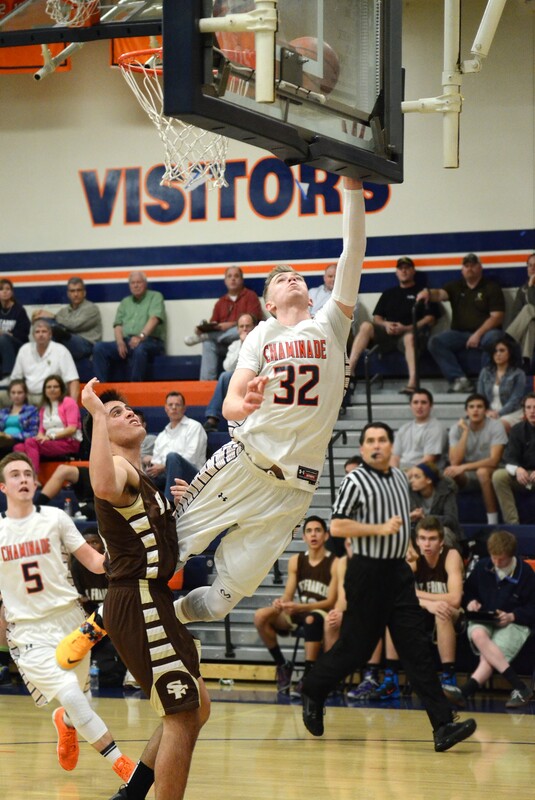 This entry was posted in Athletics, Boys Basketball, High School by Chaminade News. Bookmark the permalink. What about Joe Fabian 1982? Thank you, Mike! We have made the update on the story, and Williams is actually the third award recipient.